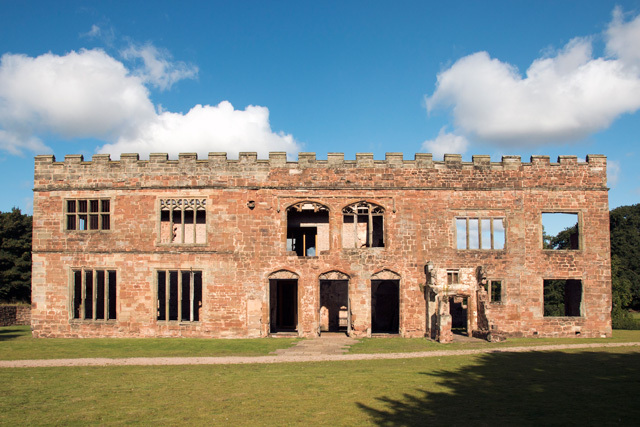 Notes: Astley Castle is a ruinous moated fortified 16th century manor house in North Warwickshire. It has been listed as a Grade II listed building since 1952 and as a Scheduled Ancient Monument since 1994. It was derelict and neglected since it was severely damaged by fire in 1978 whilst in use as a hotel and was officially a Building at Risk. The building reopened as a holiday let in 2012 after extensive and novel renovations that combine modern elements with the medieval remains.